It’s not our job, it’s our passion to capture and celebrate the life and love stories, and precious memories of the most important people and moments of your life. We help you celebrate loved ones now and for generations to come. For the times of your lives, with videos and photo books, we create the gift of a lifetime. Family stories give a sense of belonging, of strength and love. We help you connect beyond words alone by preserving and sharing memories that tell your life story. We don’t let memories fade in boxes and flash drives. We scan and carefully restore every print, select the best digital photos, then expertly design every page and every Photo Book. 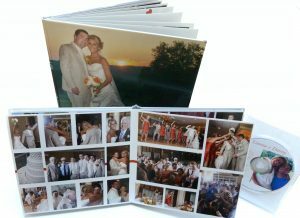 We create beautiful hard cover premium photo books, printed on the highest quality photo paper. Premium Photo Books… to remember and cherish the times of your lives. You can’t always be there, but memories can. 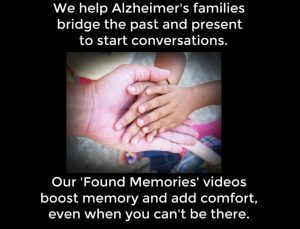 We help families with seniors, and those with memory loss, bridge the past and present by creating create 5-minute ‘Found Memories’ videos. The videos include favorite pictures and music, and can also include personal video greetings. The video also helped Matt’s mom fill in memory gaps and have conversations. And it provided comfort, making sense of her surroundings when she couldn’t remember where she was. Please contact us for a free estimate at 203-329-2638 or at arline@pictureperfections.com. And check out our Facebook page. Found Memories & Life Stories by PICTURE PERFECTIONS – Remarkable Life Stories, Video Production and Video Editing. 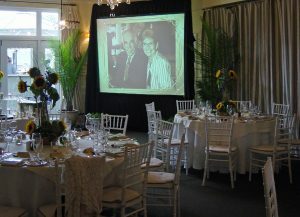 Located in Stamford, CT, we specialize in Found Memories Videos, Life Story Family Videos and Premium Legacy Photo Books. Our clients are in Stamford, Greenwich, Westport, Norwalk, Fairfield and Westchester Counties as well as throughout the U.S.
I’m Arline Melzer and I help families preserve and celebrate the times of their lives by creating life stories with mini-documentary videos and legacy photo books. Whether in a video tribute or premium photo book, I help your precious moments and personal stories become a lasting keepsake enjoyed from generation to generation. I thought I knew how much one video would affect me. PicturePerfections on Baby Boomer? Have Old Photos? Videos? Matt Baier on Baby Boomer? Have Old Photos? Videos?